real estate | Sarasota & Bradenton Florida Real Estate & More! We couldn’t be more proud of our Team Leader Angie Cegnar, as the guest speaker yesterday sharing her story on domestic violence to more than 250 people who attended the Women’s Resource Center’s Founders Impact Luncheon. Such a strong and inspirational woman! Read her story here on the front page of the Bradenton Herald! Also wishing you a very HAPPY BIRTHDAY ANGIE!!!!!! Lakewood Ranch is proud to announce the addition of its newest neighborhood, Windy Hill, located in Country Club East. The neighborhood is comprised of 37, 62-foot home sites. All sites are amenitized, many with unbelievable golf course views overlooking 10th hole of the Royal Lakes Golf Course – a challenging, dog-leg par four. Other home sites are situated on a preserve, overlooking a protected wetland. Most have southern exposures. “This is a great addition to Country Club East, as we have not had golf course home sites for almost two years” said Jimmy Stewart, vice president of sales for LWR Communities. “The ongoing demand for new product in Country Club East is part of the continuing momentum that Lakewood Ranch has realized over the past few years. 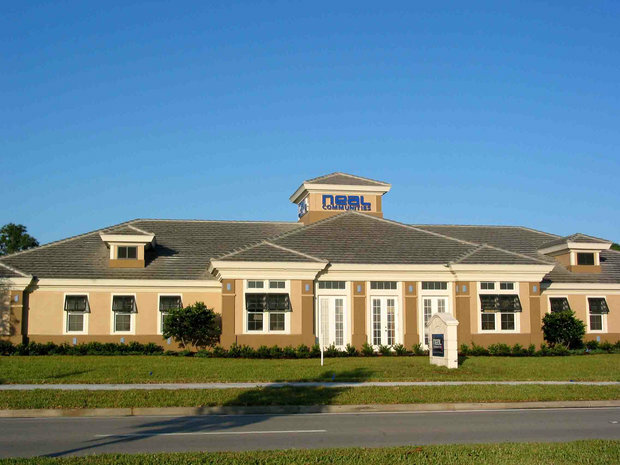 As of June 30, 332 new homes had been sold in Lakewood Ranch; a 7 percent increase compared to the same period in 2012. There are currently 328 homes in various stages of construction, Stewart said, with new home sales representing more than 55 percent of all homes sold in Lakewood Ranch. Homes will range from 2,000 to 3,800 square feet, with home and home site packages beginning in the $400s. Windy Hill’s six approved builders are Arthur Rutenberg-Nelson Homes, Lee Wetherington Homes, John Cannon Homes, John Neal Homes, Homes by Towne, and Cardel Homes. There will be no builder models in Windy Hill; visitors can tour the available models in Country Club East’s Haddington neighborhood. Lots are available immediately. Country Club East is a private, gated community built around lakes, nature preserves and 18 holes of Rick Robbins-designed golf. Every home built in Country Club East meets the Florida Green Building Coalition’s standards for energy efficiency, clean indoor air, sustainability and drought resistant landscaping. Boca Grande Lennar Designed home boasting an expansive water view Sold by The C & G International Realty Team. Under Contract in Less than 24 hours!! 5228 58th E Terrace, A Spectacular spacious family home was listed and within 24 hours, was under contract just above asking price! The supply of homes for sale is still unusually tight as the spring buying season opens, helping sellers by turning up the heat on already-rising prices. The number of homes listed for sale on real estate website Zillow was down almost 17% in late February vs. a year earlier. In some California markets, they were down more than 40%, Zillow data show. While the U.S. is creating about 1.1 million new households a year, housing starts in January came in at an 890,000 annual rate, the government says. But as prices rise, more owners will be motivated to sell, easing supply shortages, economists say. Home prices were up 7.3% in the fourth quarter from a year before, Standard & Poor’s Case-Shiller data show. That was a much faster rise than most economists expected for 2012. Nationwide, the supply of homes for sale — based on the pace of sales — fell in January to 4.2 months, the National Association of Realtors says. That’s an almost eight-year low. A six-month to seven-month supply is considered balanced between buyers and sellers. The availability of the most expensive homes in the markets Zillow tracks has tightened more than those at lower price levels. Homes for sale in what Zillow defines as the top price tier in each market fell by almost 21% in February compared to a year ago. By comparison, the inventory of homes in the middle tier dropped 17% and those in the bottom tier fell 9%. The price tiers vary by market, based on local prices. Five California cities in Zillow’s survey are among those seeing the biggest inventory drops, ranging from a 48% decline in Sacramento to a 36% falloff in Riverside. 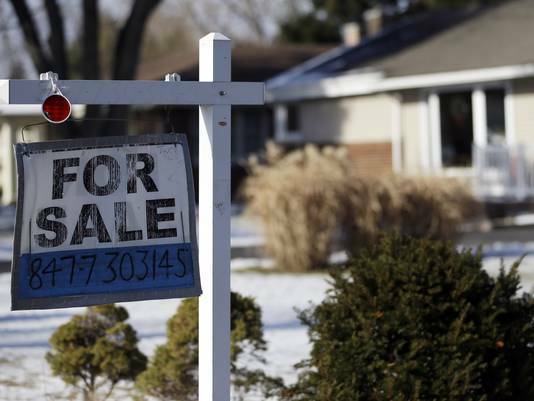 But other cities are also seeing significantly fewer listings. New York is down almost 19%, Dallas-Fort Worth, nearly 21%, and Orlando is off 27%. Only five of 99 metros showed an increase in listings, led by El Paso, up 19%, and Albuquerque, up 8%. Little Rock, Fort Myers, Fla., and Youngstown, Ohio, also saw increases. NEW YORK – March 6, 2013 – A very tight mortgage lending environment “promises improvements this year as the drivers of tough credit standards reverse,” according to Moody’s Analytics ResiLandscape Report. Still, lending will remain tight by historical standards, the report notes. Tight underwriting conditions have been one of the main obstacles to a housing market recovery. But the credit agency says that those conditions began to ease somewhat this year and likely will continue to do so. “Rising house prices give lenders more breathing room to extend credit,” the analysts at Moody’s noted. Over the past year and a half, large lenders have loosened up or, at least, held standards stable on prime loans for mortgage originations, according to the Survey of Senior Lending Officers. Aiding lenders’ confidence is that mortgage delinquencies have fallen to pre-recession rates. “Being right-side up on the mortgage improves a borrower’s credit profile. It also lowers the risk of default and increases the likelihood of trade-up buying,” according to Moody’s report.